Please prepare your camera ready text by following fonts, style, and other things according to the sample page (pdf, doc). Papers that are not prepared according to the guidelines cannot be published! 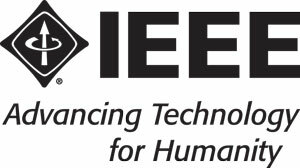 Published SoftCOM'12 papers will be included in IEEE Xplore and must adhere to the IEEE Xplore PDF specification for compatibility. 2) Create your camera ready manuscript(s). 3) Proofread and check layout of manuscript (it is highly recommended that you do this BEFORE going to IEEE PDF eXpress). 4) Check manuscript PDF for IEEE Xplore® compatibility (see instructions). 6) Forward the confirmation mail received from the IEEE PDF eXpress™ tool to (softcom@fesb.hr). 7) All the papers selected for publication in SoftCOM 2012 proceedings must be accompanied by the filled and signed copyright form (pdf, doc). For a paper to be published in the Proceedings this form must be signed by at least the leading author. A computer (MS PowerPoint, Adobe Acrobat, CDROM) and LCD projector will be provided in each session room in order for authors to make PowerPoint presentations (all files must be formatted for Microsoft Windows Operating System). On the day of your presentation, please report to your assigned room 15 minutes before the session is scheduled to begin. Introduce yourself to the Session Chair, and check that any audio/visual equipment you need to use is setup and working properly. If you are using PowerPoint for your presentation, please load your presentation onto the hard drive so that the transition between presentations is smooth. Available time for paper presentation is 15 min.